Omega-3 is an essential fatty acid that your body can’t make itself, so you have to get from your diet. It’s found naturally in fish oil — so it can be difficult to get enough of it from what you eat alone. 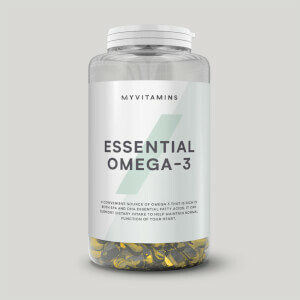 Omega-3 contains EPA (eicosapentaenoic acid) and DHA (docosahexaenoic acid) which both play an important role in supporting heart health1 — meaning these will support your fitness goals, alongside your general wellbeing. Our softgels are a convenient and inexpensive alternative to help you hit daily requirements, without the fuss of meal prep. They’ve been made from high-purity fish oil that’s been manufactured under the PureMax™ process to guarantee it’s high-quality and responsibly sourced. 1. EPA and DHA contribute to the normal function of the heart. When to take Omega-3 Plus? These are super-easy to make part of your training regime — simply take 1-3 capsules a day with food. What does Omega-3 Plus work well with? Omega-3 Plus are great for making sure you hit your daily requirements, even with a hectic schedule. Stay on top of other essential nutrients with our Daily Multivitamin tablets — each one is packed with seven important vitamins and minerals. Concentrated & Purified Omega 3 Fish Oil, Antioxidant (Vitamin E), Softgel (Gelatin, Glycerol). Seems fine - one gripe! These are great and I have taken them for years. The website says to take them 3 times a day. However the actual bottle says 1 a day. Might want to get that change. Thought I'd try these ones as the amount of EPA per serving is very good for the price, and the EPA to DHA ratio is particularly high. Strong smell of fish though, which is usually a sign of poor quality omega 3. Will probably go back to my previous brand, which while more expensive doesn't have a rancid fish smell. Doctors recommend taking an Omega 3 source with at least three times the amount of EPA to DHA for ADHD sufferers. 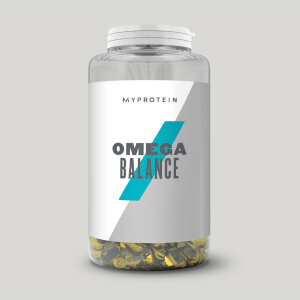 MyProtein's Super Omega 3 is the only brand of Omega 3 I can find in the UK that offers the right ratio of EPA to DHA. Combined with some of the great offers that can be found on the MyProtein site it can prove affordable also. If you are an ADHD sufferer then I recommend this product. Fantastic product especially for the winter months when the need to boost the immune system is even higher. Easy to digest and consume despite the size. Only problem was that it took Myprotein 2 weeks to deliver this because of Black Friday volume fulfillment and I was so ready to cancel with them and just buy the equivalent quality on Amazon which always delivers on time no matter what the day. Like this product a lot. There is no fishy burps or after taste. Pills are large but go down easily with water. After a week of use I'm feeling better overall from use so will continue to use them. Been training for 10 years now and used many different companies and brands but nothing compares to Myprotein, excellent in every respect, found a reputable, reliable, efficient brand that is brilliant value for money. Never been disappointed with ordering and customer service is always superb. 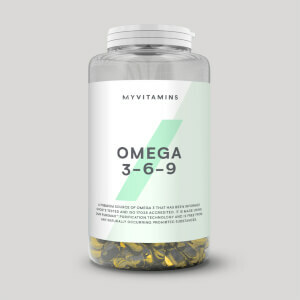 it´s really hard to find an Omega-3 supplement that gets you to the 1gr of EPA recommended without having to take 6 pills a day. 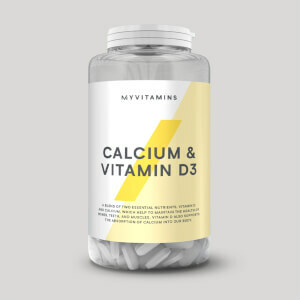 With a couple of daily pills you meet your EPA requirements and it´s just perfect. Does not have fishy taste if you know how to store it, keep it refrigerated and will conserve better.